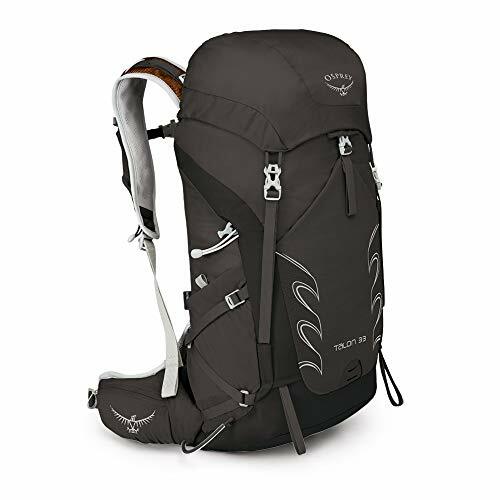 If you're looking for a smaller and comfortable hiking backpack with a lean towards travel traveling activities, take a long look at Osprey's Osprey Talon 33 | from $112.20 (women's specific counterpart is Osprey Tempest 30 | from $114.49). Exceptional ventilation, ultralight weight, superior external gear attachment capability and the sweet spot of 33 liters make this pack perfect for any weekend hiking/travel activity and even for daily use. But still careful there, (1) for most people 33L won't be enough for any activity that takes longer than 3 days and (2) Talon 33 isn't technically carry on size for most airlines although you're highly likely to get away with it most of the time since these things are down to individual staff of the airlines and the pack violates the depth & height limits only by a few inches. So if you're looking for a larger pack, check our top picks for best backpacking backpacks. This product is an OutdoorCrunch Top Pick! Fits torso lengths between: 16" - 20"
Fits torso lengths between: 19" - 23"
#Note: As you see, dimensions and volumes don't add up. See our post Dimensional Inconsistencies of Osprey Backpacks to learn more. See women's counterpart Osprey Tempest 30 | from $114.49. Exceptionally comfortable because of its (1) adjustable harness, (2) entire back panel, shoulder straps and hip belt are thick and generously covered with pleasant padding, and (3) two size options AND women's counterpart to correspond the torso height and gender specific anatomy for further customized fit. The reason for the popularity of Osprey's Talon 33 is its excellent comfort. One of the latest suspension technologies of Osprey , The AirScape backpanel, keeps the weight close to your body for optimal weight distribution and increased stability. 3D contoured texture keeps your back incredibly well ventilated to keep you less sweaty along the way. Entire back panel, shoulder straps and hip belt are generously padded and hence feels very pleasant on your body. Thanks to the gender specific options, their thicknesses and curves accommodate very well to the men's & women's anatomy of shoulders, chest and neck. Adjustable load lifter ensures seamless fit and comes with an embedded emergency whistle. Stretch pocket on the left shoulder strap (at left) is perfect for any frequently used item. Lightweight Peripheral frame conveys the load from harness to hip belt extremely well - which in turn helps you walk longer distances with less exhaustion as the study conducted by Epstein et al proved in 2017. We've been buying backpacks online for years and never had any problems. Before you buy, just check the seller's return policy, make sure that you can return an unused pack within a certain time frame and you're good. If it doesn't fit quite right after trying it on at home you can always return. Hip belt pockets are quite roomy and can easily be utilized for smartphones, snacks, GPS or any other item you'd like to have more readily available on the go. Osprey's own size & fit chart below shows the torso heights corresponding to S/M and M/L sizes. Using Osprey's same article you can evaluate your torso length at home and choose the backpack accordingly before ordering. As McGill explained in 2017, on average, (1) a 5'7" (170 cm) to 5'11" (180 cm) male will have a torso length of 17" (43 cm) to 19" (48 cm); and (2) a 5'2" (158 cm) to 5'6" (168 cm) female will have a torso length of 15" (38 cm) to 17" (43 cm). So for instance, it's highly likely that males 6' and above would fit M/L size better and males 5'8" and below would fit S/M size better. Those between 5'8" and 6' would do equally well with both sizes. Still, you'd be safer going for M/L size if you're closer to 6' and vice versa. Unlike other daypacks with very few pockets, Talon comes with 8 very useful pockets. Besides 2 zippered hip belt pockets and a stretch harness pocket mentioned previously, 2 zippered top lid pockets make a larger portion of your items easily accessible. Zippered external top slash pocket (at left) offers more room than zippered internal mesh pocket under the lid (at right) and hence more convenient for bulkier items. Although the ventilation of Talon Series is much superior than other packs thanks to AirScape back panel technology of Osprey, it'll only keep you cool longer. In the end, you will sweat regardless of the pack ventilation. Fortunately, well thought out packs like Talon provide a pouch that is very useful for dirty, smelly and/or wet item storage that would better kept away from the main compartment. Using InsideOut compression straps at sides you can (1) compress and secure your items and (2) shrink the pack into smaller sizes when not full. InsideOut compression straps are mostly used from the inside without compressing the mesh pockets. But if you'd like to have the items there more secure you can always choose to compress them as well. Our only gripe about this pack is that side mesh water bottle holders are difficult to reach on the go even though there is an additional horizontal installation option for this purpose. 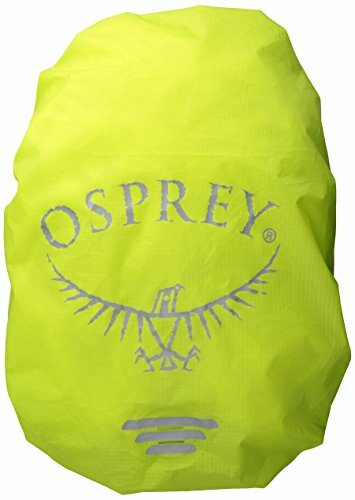 Besides its optimal volume, 7 external pockets and innovative compression straps; Osprey Talon 33 is equipped with tons of features: (1) LED light attachment point at the bottom front for increased visibility, (2) external hydration sleeve compatible with all Osprey hydration reservoirs, (3) stow on the go trekking pole attachment and (4) twin ice axe loops. Besides its excellent comfort, the other reason for the popularity of Osprey's Talon 33 is its exceptional versatility. If you used a 40+ liters pack while going to school, office or while cycling; you must have complained about it's bulky structure and wished something more practical. If you're like most people and ever used a nearly 25 liters pack while traveling or multi day hiking, you might have wished to pack more. Pack your Talon 33 the right way for best experience. That's why one of the biggest advantages of Talon 33 in terms of versatility as 30-35 liters is the sweetest spot for any outdoor activity as well as daily use and traveling. What's more, broadest range of features adds to the versatility of this pack while maintaining its relatively lightweight. Hydration sleeve is placed right behind the back panel. Stow your trekking poles without having to take off your pack. No matter where are you going or what are you going to do, Talon 33 got you covered. At 22.4H X 11.8W X 11.4D IN, Talon 33 is NOT technically carry on friendly for most airlines  with 22H x 14W x 9D IN limits. However, as you know these things are mostly down to individual staff at the airport and most of the time they're more focused on weight than dimensions. Also the pack isn't made of steel so you can force fit it into the airport carry on checker boxes. So it is possible to have Talon 33 as carry on but not guaranteed. If checking your pack scares the hell out of you, forget about this pack. Also, it does fit in the overhead bin and under the seat of most airplanes. If you're going to be packing valuable electronics such as tablet or laptop inside Talon 33, you might want to pay attention to this. Talon 33 isn't waterproof - but it's water resistant. It'll resist rain to some degree until it lets the main compartment and pockets get wet. Having your stuff wet can ruin your traveling experience very easily - especially if you pack electronics -insert emotional breakdown shriek here-. The risk gets more serious if you're traveling to certain countries that receives unpredictable downpours during certain time of the year (e.g. spring in Europe). You might want to stop worrying about rain completely and enjoy your time traveling. Luckily, there's a high visibility Osprey rain cover designed to fit Talon 33 perfectly. If the above risks apply to you, we highly recommend investing in one of them. Small Size Raincover is designed to fit both sizes of Talon 33 & Tempest 30 perfectly. Buy it for life: Even though the zippers, buckles, straps, loops, suspension system and 70D x 100D Nylon Mini Shadow Brick material of Talon 33 stay good as new after years of use; it's still a relief to know that Osprey's All Mighty Guarantee has got your back just in case of any issues for any reason. When someone asks us why they should purchase an Osprey pack, durability and suspension are the first things we mention. Besides, knowing that Osprey All Mighty Guarantee is always there in case of any problems is quite assuring. You can enjoy the moment and stop worrying about the pack completely. Talon 33 is a top loading pack while Talon 22 is a panel loading pack without the top lid. 30-35 liters is the sweet spot in terms of versatility. At 22 liters, Talon 22 is less convenient for multi-day hikes. With it's smaller structure it performs better with the activities that require you to be highly agile (biking, mountaineering, skiing etc) and it comes with a lid lock for bike helmet attachment in addition. 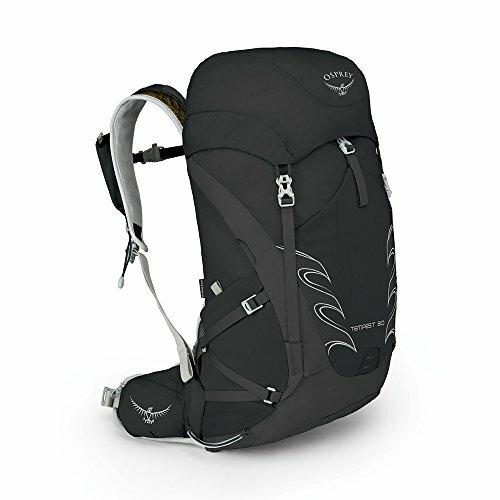 If you'd like to have a more versatile pack - get an Osprey Talon 33 | from $112.20. If you'd like to have a pack specifically designed for the activities that require you to be highly agile, get Osprey Talon 22 | from $100.93. Osprey Talon 44 is a multi-day hiking backpack. It comes with an additional zippered sleeping bag compartment at the bottom, sleeping pad straps and a floating top lid - which means you can shift the lid up to accept more load or remove it completely to save weight. If you'd like to have a more versatile pack that you can use for a broader range of activities - get an Osprey Talon 33 | from $112.20. If you'd like to have a larger pack mainly designed for multi day-hikes, get Osprey Talon 44 | from $118.99. We hope this review was helpful for finding whether Osprey's Talon 33 is for your needs. Please comment below to provide feedback or ask questions and we're happy to respond. Thank you for reading and happy travels/trails! Very thorough, and helpful review. I was a little worried about this packing being too big, so I appreciated the comparison.